A brief -- and admittedly preemptive -- comment regarding certain lines of questioning. Please do not use this blog to discuss anything that is not commercially available. We're going to have a ton to discuss later this year, but we will wait until materials are distributed through legitimate commercial channels. Discussion of any materials other than these -- which includes but is not limited to press kits, awards promos, scoops from your crazy Uncle Frank who played the nose flute solo in the score's finale, etc. -- is strictly prohibited. We're all heading back to Middle-earth in just a few short weeks/months. Let's arrive together, yes? Thursday is the sixty-sixth birthday of composer Howard Shore. Classic FM will be celebrating with an 8 pm airing of The Lord of the Rings Symphony. Please see the note below from Kyle Macdonald, Classic FM's Community Manager. At Classic FM we're doing as much as we can to champion great movie soundtracks. Tomorrow at 8pm we'll play Howard Shore's immensely popular Lord of the Rings Symphony, in full. Thursday is the composer’s 66th birthday and his LOTR score has also recently been voted by our listeners as their number one Soundtrack, in our Movie Music Top 100. 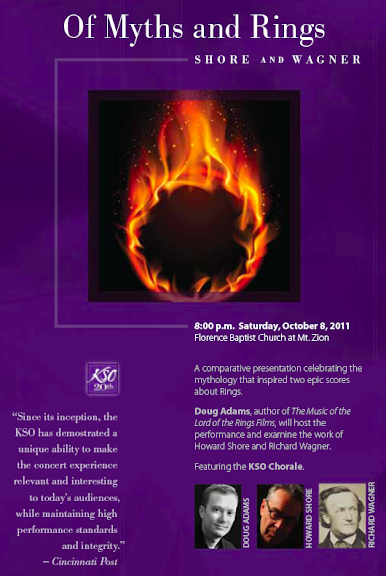 It's an astonishing piece and we'll broadcast it in its entirety, without interruption. 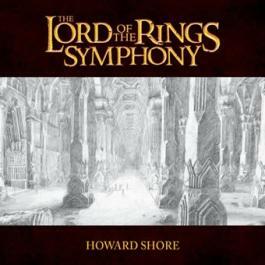 Shore's Symphony is based on themes from the phenomenally-successful Lord of the Rings trilogy. HERE is a link to our programme on Thursday. We're also celebrating with a gallery of Howard Shore and his movie soundtracks. We'd be delighted if you would share this with your fans and followers.